OkayFreedom VPN from German company Steganos is a simple VPN service that lets users browse the Internet anonymously through a safe, encrypted connection. 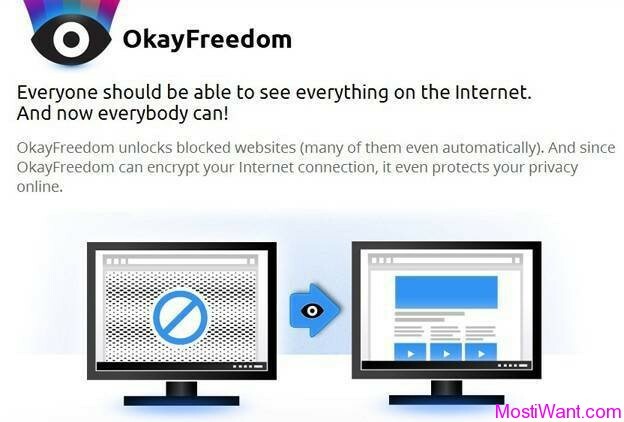 OkayFreedom VPN creates a VPN between your PC and OkayFreedom security gateway so that all your Internet traffic goes through impenetrable, non-transparent tunnel. The servers represent you on the Internet and your real IP address is hidden. You will no longer have to worry about anyone checking your online traffic details, blocking your access to different websites at work, or about other similar problems. Even your Internet Provider will not know what you are doing on the web and it also makes it impossible for him to block or filter any traffic. The service OkayFreedom also makes access to websites that are regionally restricted accessible to you. So called geographical restrictions or country restrictions are appearing ever more frequently, and hamper the free access to the contents of the internet. OkayFreedom VPN automatically selects the appropriate server, in order to make the restricted contents visible. You thus have fully automatic “freedom of the media” on the internet. OkayFreedom VPN Free account provides 2 GB free traffic volume per month (the free version is ad-supported). If you want additional traffic, you need to upgrade to a paid plan (Premium Flat) with Unlimited Traffic which is priced at $29.95 per year. As part of the giveaway offer, you can get 1 Year Promo Code for OkayFreedom VPN Premium Flat plan (Unlimited Traffic Volume) for free. Not sure for how long the giveaway is going to last, which means it’s probably best to get it now before it’s too late. 1. To get your free traffic, access the promo page here, enter your valid email address, and press the sent button. 2. You will receive a confirmation email from [email protected] Click on the confirmation link in that email. If the e-mail hasn’t arrived within 15 minutes, please check your spam, bulk or junk mail folder to locate it. 3. You will receive another email with your free premium code and download link for OkayFreedom in a few minutes. 4. After installation, go to the notification area and click the context menu on the OkayFreedom VPN icon. Click the Manage License …> Enter serial menu and enter the Premium code received by e-mail. You will then be a Premium user, which allows you to enjoy Unlimited Traffic Volume free for for one year. Now (15/04/2019) NOT unlimited it’s back to 5Gb a month, not much use, I can use that in a day or two. i wonder how many will miss this offer 🙂 Thank you ! Sorry! This promotion has expired or does not exist. 2. Has very annoying ads on just about every web page (even when using AdBlock plus), doubles web page memory, slows down machine (and I am using an overclocked i7 with heaps of memory), and crashes machine when too many tabs are open – this is the definition of a virus. Uninstalled and everything worked fine again. Other notes from other posters: CyberGhost has same issue with iPlayer, stay away from Hola as it will turn your machine into a resource munching bot for other users. I used a promotional copy last year and it just ran out. So glad I found this offer. The problems you people are talking about never occured on my machines. And no Adware. As far as the ‘eye’ turning red; (disconnected) – yes that occasionally happens – rarely. It can easily be be remedied by keeping it visible in the system tray. As in “Show icon and notifications” by ‘hidden icon customization.’ How difficult is it to monitor your tray icon while you are engaged in your “super secret computing” which nobody really gives a damn about..? As of Feb. 19, 2016, the Flat Rate no limit offer is still extant. You’ll get your get your serial number at the email account you entered. Maybe so –provided you can **install** it. I just get “Couldn’t create temp file”. Plenty of room on C: and I’m admin of course. Searching for information led to many angry comments on the product. Think I’ll pass this one. This file contains a virus! I tried the free premium subscription through PCAdvisor and whilst it looks to be working fine, I have on three occasions been disconnected from the VPN despite having it set to “On” whilst downloads were still running. Any ideas on this please? Got this from another giveaway last week, but this thing didn’t work for me, could not install vpn adaptor which is needed for protection. Was redirected to some very vague explanation page. Installed Steganos online shield, cause i needed a file from that thing and i needed to select it and “add” (???). I don’t have security soft blocking it. In the end my connection got messed up, so today i uninstalled the whole thing. To bad. Anybody else having this problem and maybe a solution? …Anyway thanks for the offer. Plagued with errors. In my opinion they are beta testing the system. There are several better full featured free VPN’s like CyberGhost and Hola. Thanks William being an Aussie we need one these now to stop the Government collecting all our data now. I’m from Download.hr site. I see lots of comments that program doesn’t work. It works. It is SE edition where you need just download software. No serial key is needed. 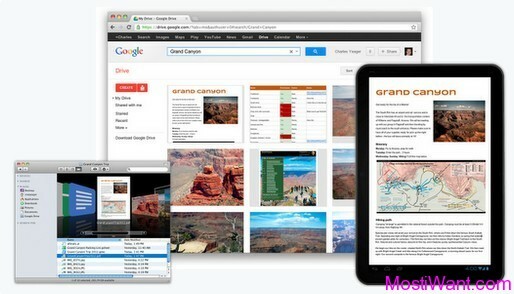 During installation process it will offer you to install Chrome/Firefox addon. You don’t need it if you don’t want. After you install it, right click on software icon in system try, and choose one of desired countries. Also in that windows you will see that your are flat user without bandwidth limits. The 5GB restore every month ? or one time use :\ ? Dear James, it’s 5 GB Traffic Volume every month. Has anyone got extra key? Something odd about this. Since installing this software, an additional frame has started appearing at the top of my Firefox browser screen stating “OKayFreedom has found 5 money saving coupons for you on this page” (the number varies.) The frame clearly doesn’t relate to the actual page I’m on where, if there were any ‘coupons’, I’d see ’em. I’ve naturally used Firefox’s Adblock Edge to prevent the frame from recurring. 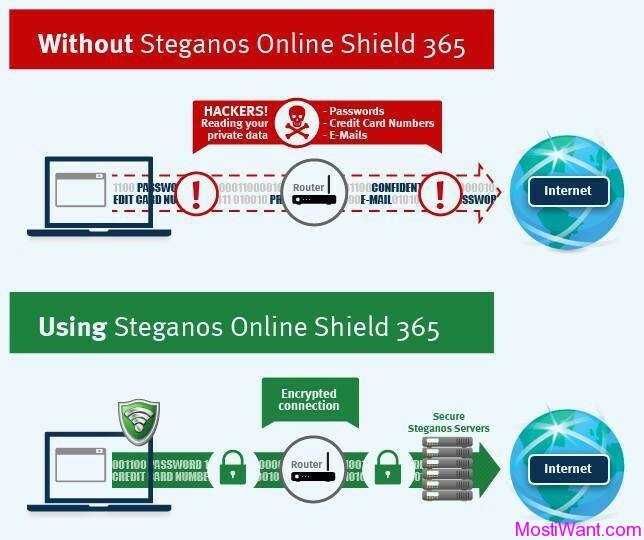 But it would be a very counter-productive step if the developer, Steganos, has bundled something into this VPN software which is then installed without the user’s knowledge or permission. Dear Steve, I am sorry I do not use it but disabling the OkayFreedom Add-ons should be of help. Wish you a most prosperous and healthy New Year! I simply use Zenmate and have been using for a while now…. ZenMate is a free proxy switcher ADD-ON for both Chrome and Firefox browsers that requires no knowledge of proxy switching. ZenMate encrypts and routes your internet traffic through a proxy in a different country so that you can surf the internet with more privacy. Plus it enables you to circumvent Geo-restrictions, allowing you to view content that would normally be blocked in your region. ZenMate is very good, thanks for sharing! Wishing you a joyous holiday Season and a most prosperous and healthy New Year! a lot less painful using Zenmate than trying to get sense from this OkayFreedom offer… SO except for the occasional default to Turkey IP using Zenmate is all good and for free !!!! Faaaaaaaaaaaaaaaaaaaaaaaaake, waste of time, yes i got the code but there is no data to connect … what can you call this ? A joke????????????????? recieved code is already reedemed.waste of time. Code rejected, states Preimum Code does not exist, yet that it’s the one I received in their email. It also stated in the email that I had 10GB. Dear suraj, I am sorry to hear this but you may be in a country or with an ISP that blocks usual VPN connections.